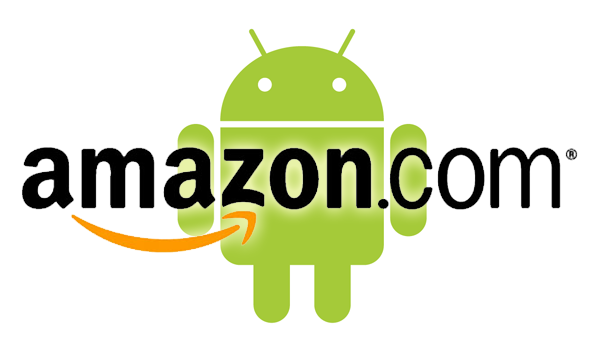 Android developers looking to distribute their apps through Amazon’s Appstore will be pleased to learn of the company’s newly expanded portal. It is now possible to submit applications for international distribution across select European countries. Set to go live later in 2012, the AppStore will see its reach move into UK, Germany, Spain, France, and Italy. Look for the same great features, including in-app purchases, test drive, and more. If you’re an Android developer who is already using the Amazon Appstore, check out the Portal today. The same goes for prospective Android developers; head to https://developer.amazon.com/home.html. The Amazon Appstore for Android is where customers can find, discover and buy thousands of apps using Amazon’s convenient and trusted shopping features, including personalized recommendations, customer reviews and bestseller lists. Customers can access the store directly on Kindle Fire, from any computer, or on an Android phone or tablet.Amazon Appstore has a broad selection of paid and free apps and games, including established bestsellers and new apps from top-tier brands. More apps and games are added daily and the Amazon Appstore offers customers a great paid app for free, every day. Amazon.com, Inc. AMZN +0.62% , a Fortune 500 company based in Seattle, opened on the World Wide Web in July 1995 and today offers Earth’s Biggest Selection. Amazon.com, Inc. seeks to be Earth’s most customer-centric company, where customers can find and discover anything they might want to buy online, and endeavors to offer its customers the lowest possible prices. Amazon.com and other sellers offer millions of unique new, refurbished and used items in categories such as Books; Movies, Music & Games; Digital Downloads; Electronics & Computers; Home & Garden; Toys, Kids & Baby; Grocery; Apparel, Shoes & Jewelry; Health & Beauty; Sports & Outdoors; and Tools, Auto & Industrial.Amazon Web Services provides Amazon’s developer customers with access to in-the-cloud infrastructure services based on Amazon’s own back-end technology platform, which developers can use to enable virtually any type of business. The new latest generation Kindle is the lightest, most compact Kindle ever and features the same 6-inch, most advanced electronic ink display that reads like real paper even in bright sunlight. Kindle Touch is a new addition to the Kindle family with an easy-to-use touch screen that makes it easier than ever to turn pages, search, shop, and take notes — still with all the benefits of the most advanced electronic ink display. Kindle Touch 3G is the top of the line e-reader and offers the same new design and features of Kindle Touch, with the unparalleled added convenience of free 3G. Kindle Fire is the Kindle for movies, TV shows, music, books, magazines, apps, games and web browsing with all the content, free storage in the Amazon Cloud, Whispersync, Amazon Silk (Amazon’s new revolutionary cloud-accelerated web browser), vibrant color touch screen, and powerful dual-core processor. Amazon and its affiliates operate websites, including www.amazon.com , www.amazon.co.uk , www.amazon.de , www.amazon.co.jp , www.amazon.fr , www.amazon.ca ,www.amazon.cn , www.amazon.it , and www.amazon.es . As used herein, “Amazon.com,” “we,” “our” and similar terms include Amazon.com, Inc., and its subsidiaries, unless the context indicates otherwise.